FEMALE SPEAKER: They really made it possible for a mother with a family to graduate with a higher degree. FEMALE SPEAKER: Needed something to accommodate my traveling. So I was able to travel nationally and complete my degree. MALE SPEAKER: They gave me the opportunity to advance in my career, which I did actually very quickly. MALE SPEAKER: Encourages learning. So that was my motivation. 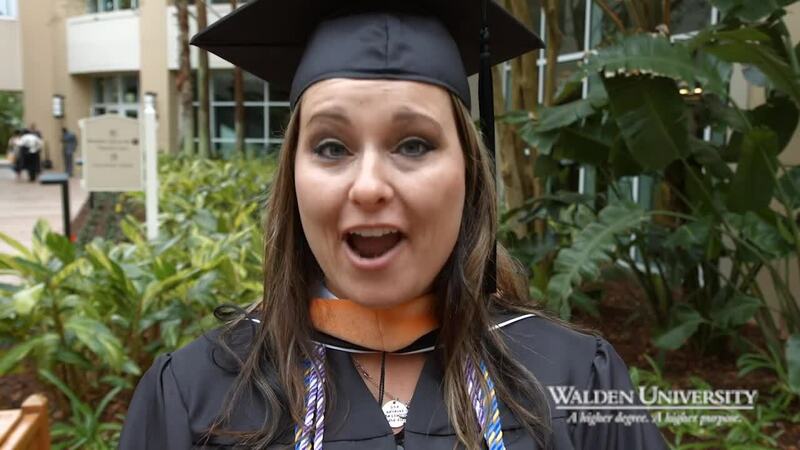 By choosing Walden, one Class of 2016 graduate was able to balance life and studies, propelling her career aspirations forward. Why did you choose Walden?